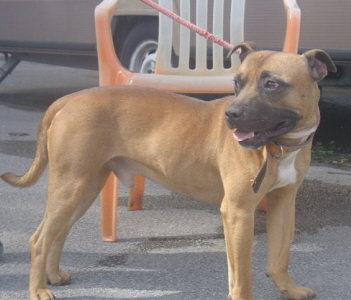 Franz is a male Staffordshire Bull Terrier of around 2 years of age. Small to medium in size, and tan & white in colour, he is absolutely adorable. Franz travels really well, just wanting LOTS of attention, basically if he is being cuddled he is happy! 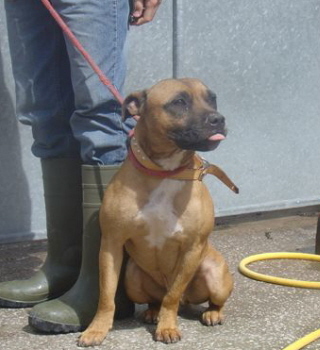 Franz has been in our emergency boarding kennels in the Merseyside area since 28th July 2007. 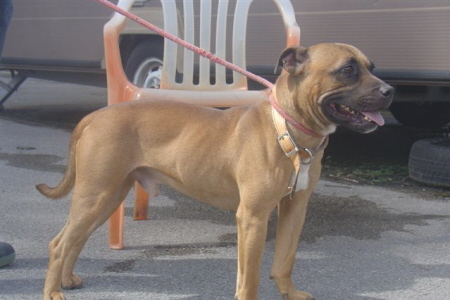 His stay there has enabled us to carry out and assessment, and he now ready for rehoming. 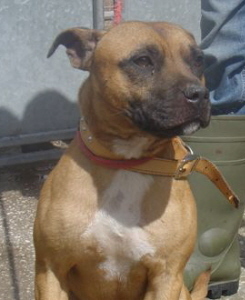 This sweetie appears to be good with other dogs and children. Franz is wormed, flea treated, neutered and vaccinated. Anyone interested in homing Franz needs to contact us or telephone Margaret on 07946 739038 for an informal chat.